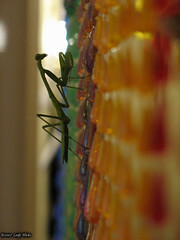 Last night my kitchen was visited by a praying mantis. 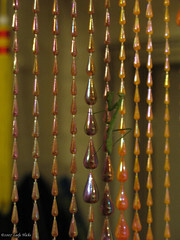 You can see it here trying to be camouflaged against the bead curtain on the window. Looks nice against the orange and brown. This entry was posted in Photos and tagged insect, kitchen, photo. Bookmark the permalink.